Staff Picks for August 22, 2018 – Beasts of Burden: Wise Dogs and Eldritch Men, Mammon, Exit Stage Left: The Snagglepuss Chronicles and More! 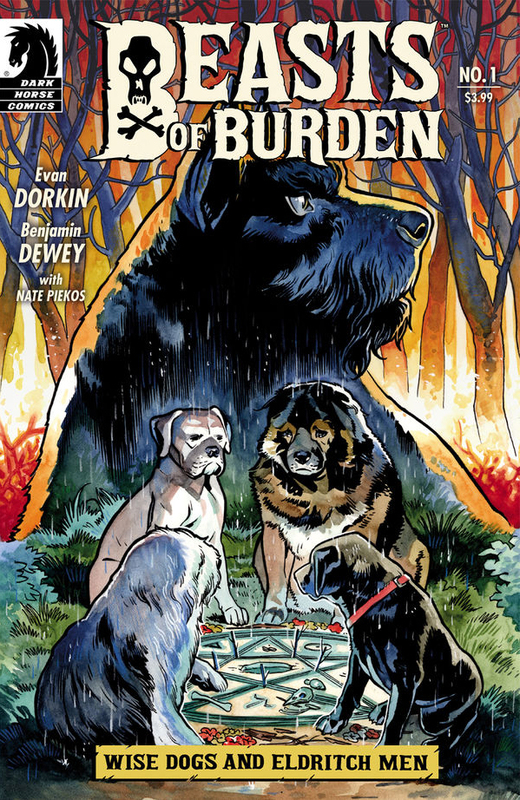 The eight-time Eisner-winning series about a pack of highly intelligent animals who investigate paranormal occurences is back with artist Benjamin Dewey (The Autumnlands) stepping in for co-creator Jill Thompson. The Wise Dogs uncover a link between various occult disturbances which leads them to a mountain village inhabited by a survivalist witch-cult. They have discovered the existence of a “Blood Lure” which they plan on using to bring all kinds of supernatural creators and terror to Burden Hill. Ships with variant cover by Rafael Albuquerque. Mark Russell and Mike Feehan’s re-imagining of the urbane Hanna-Barbera character is undoubtedly the finest series to have come out of DC’s retooling of those classic animated features. Hardly surprising, perhaps, given that Russell was the writer of the Broken Frontier Award-nominated social satire The Flintstones last year. 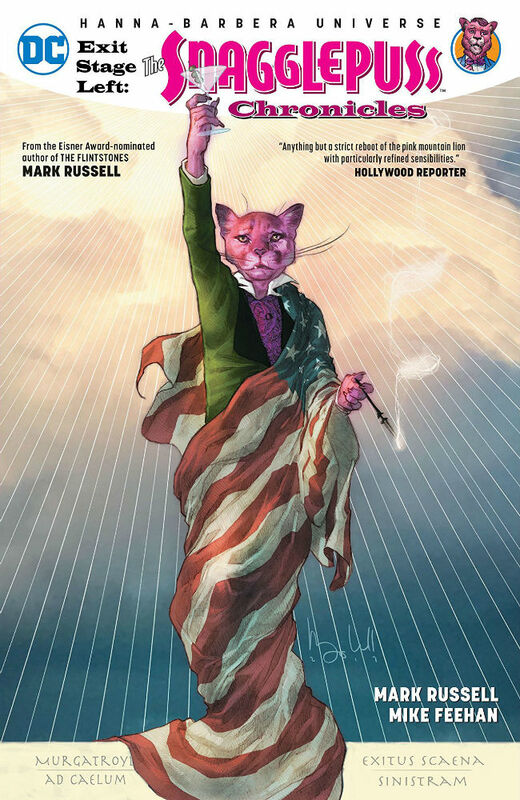 Recasting the cartoon character as a gay Southern Broadway playwright who finds himself the target of the House Committee on Un-American Activities in an early ‘50s US, Exit Stage Left: The Snagglepuss Chronicles is a searing indictment on a repressive era of history and a powerful exploration of identity and self-acceptance. 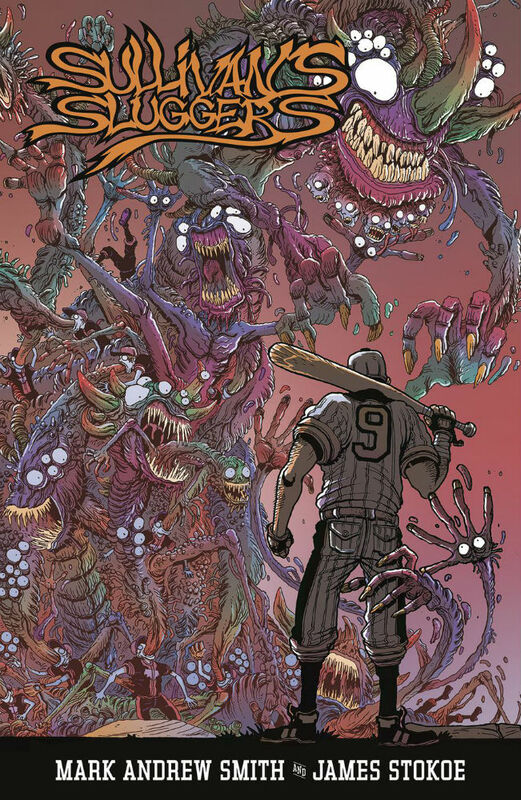 With memories of a contentious (to say the least…) crowdfunding campaign and initial release now fading into the misty recesses of time, Sullivan’s Sluggers can now perhaps be enjoyed as an actual comic book, rather than a Kickstarter cause célèbre. Teaming Eisner and Harvey Award-winning writer Mark Andrew Smith with James Stokoe, whose hyper-detailed and impossibly imaginative art has graced his own fantastical Orc Stain books, a recent Alien spin-off for Dark Horse and one brilliantly gonzo Avengers one-shot for Marvel set a million years in the future, Sullivan’s Sluggers is as over-the-top story as you’d imagine from the pair: a wide-screen, free-wheeling, ludicrous battle between a baseball team and an invading interplanetary voice of nightmarish aliens. 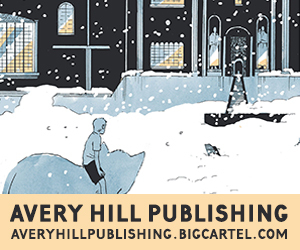 It’s the grand finale of the Broken Frontier-Award nominated Jeff Lemire vehicle and a comic that we have been almost endlessly extolling the virtues of at Broken Frontier over the last several months. 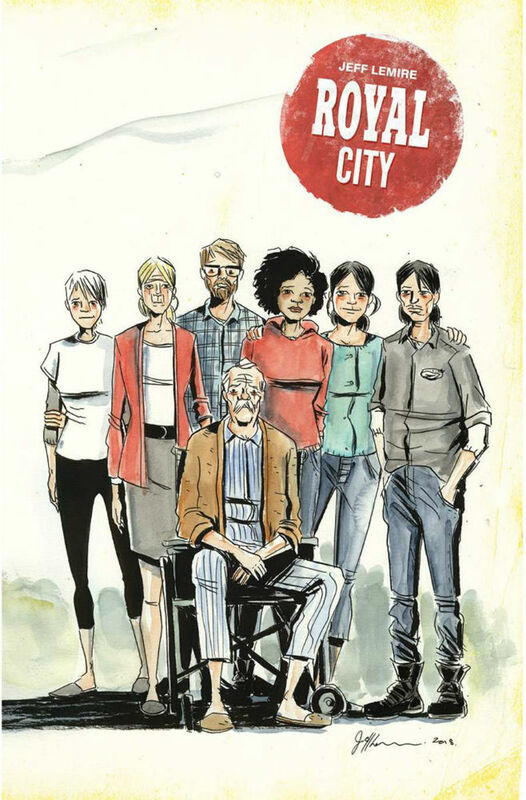 Originally planned as a sprawling generational saga, Lemire announced earlier this year that the story would come to an end on the conclusion of its initial arc. You can see exactly why we rated the book as highly as we did in this ‘3 Reasons Why You Need to Read…‘ piece at BF. In this no doubt epic conclusion, all the plot threads come to a final head as the Pike family the intricacies of the twisting secrets that have defined them are finally faced. If you haven’t been following this series to date then make sure to pick up the trades. A deeply affecting and beautifully understated drama that underlines Lemire’s place as one of the most important storytellers working in serial comics in 2018. 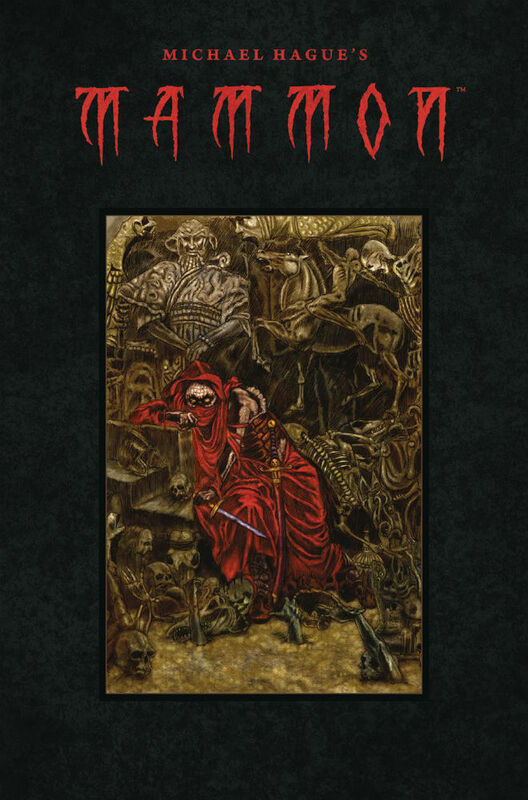 If you’re a horror comics fan then the cover of Michael Hague’s graphic novel Mammon will immediately catch your eye with its hauntingly sinister imagery. The fantasy illustrator’s vampiric drama is the latest book from a publisher who are undoubtedly at the forefront of contemporary horror comics. The story focuses on writer Jonathan Meeks investigating whether there could be any truth in the vampire myth. We’re promised a story that will take us from 1920s London to the gates of Hell. Look for a review at Broken Frontier in the near future. The first two issues of Georgia Webber’s stark, evocatively-illustrated memoir were originally published by Retrofit and Big Planet; it was a stand-out of that year’s slate of releases for the small press collaborators, a graphic retelling of how Webber lost her voice and, with it, most of the certainties of her day-to-day life, from her dayjob at a cafe to making idle chit-chat with friends. This full-length hardcover fleshes out that initial premise considerably, whilst maintaining the minimalist monochromatic aesthetic with splashes of red colour. 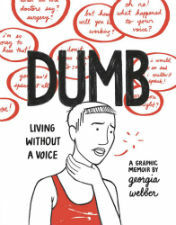 Dumb, Georgia Webber’s self-published memoir of dealing with sudden voice loss, is a penetrating piece of graphic medicine that has been long overdue a high-profile reprint. After picking up a sore throat in the summer of 2012, Webber was subsequently diagnosed with a vocal injury that would require her not to speak for six months. Her book tells the story of her negotiation with the situation, as she suddenly found herself marginalised, both socially and professionally. Along the way, she addresses the personal and cultural issues raised – particularly for a woman – by the sudden loss of one’s voice. 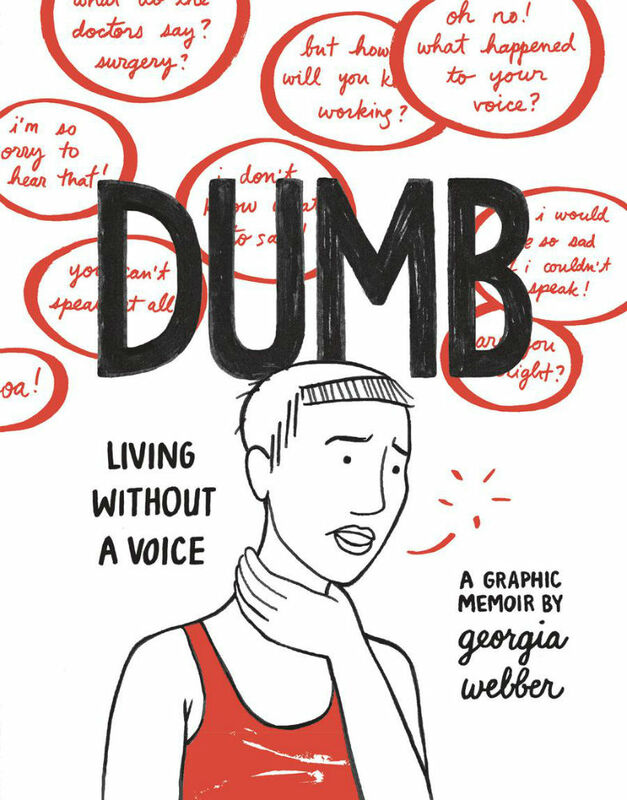 A confident and accessible cartoonist, Webber boldly rises to the challenge of dealing with these issues in a ‘silent’ medium, using colour to highlight the presence of noise all around us – and the dramatic effect of its sudden absence. Throughout the work she uses the possibilities of the comic form to take us deep into her catastrophic experience and to give us something altogether more engrossing and enlightening than your average quarter-life-crisis tale. 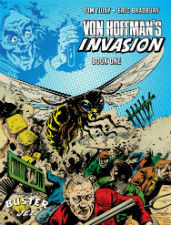 Hot on the heels of his appearance in the pages of the recent revitalisation/re-imagining of classic British comics characters The Vigilant (reviewed here at Broken Frontier last week), the villainous Doktor Von Hoffman’s original schemings are represented this week in another welcome reprint collection from Rebellion’s Treasury of British Comics imprint. 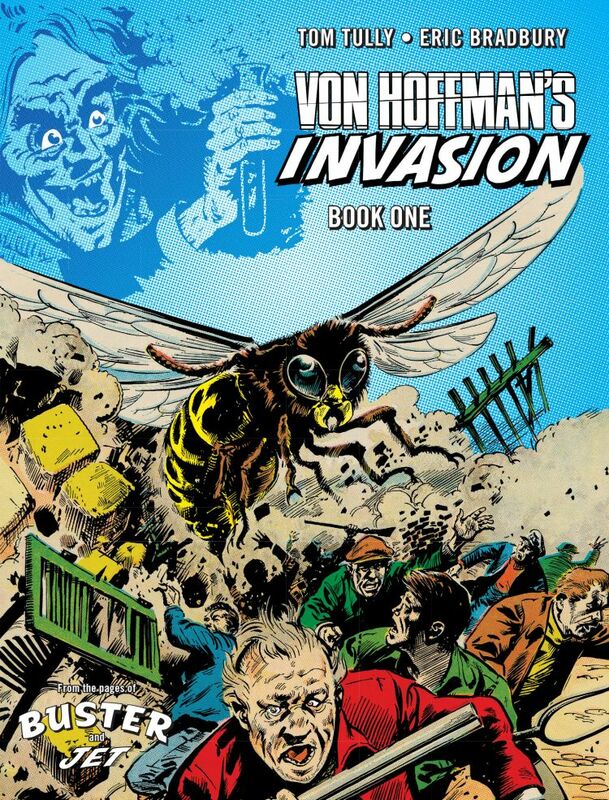 Originally appearing in the pages of Jet and then Buster in the early 1970s this offbeat serial followed the not-so-good doctor’s attempts to invade the British isles with an army of creatures he’s grown to enormous sizes. It’s a wonderfully ludicrous premise and very much of its time but there’s no doubting the pure escapism of this battle of wits between Nazi super-scientist and the two schoolboys, Barry and Joey Drake, who thwart his plans at every turn. You can read a full review of the book from BF’s Tony Ingram here. 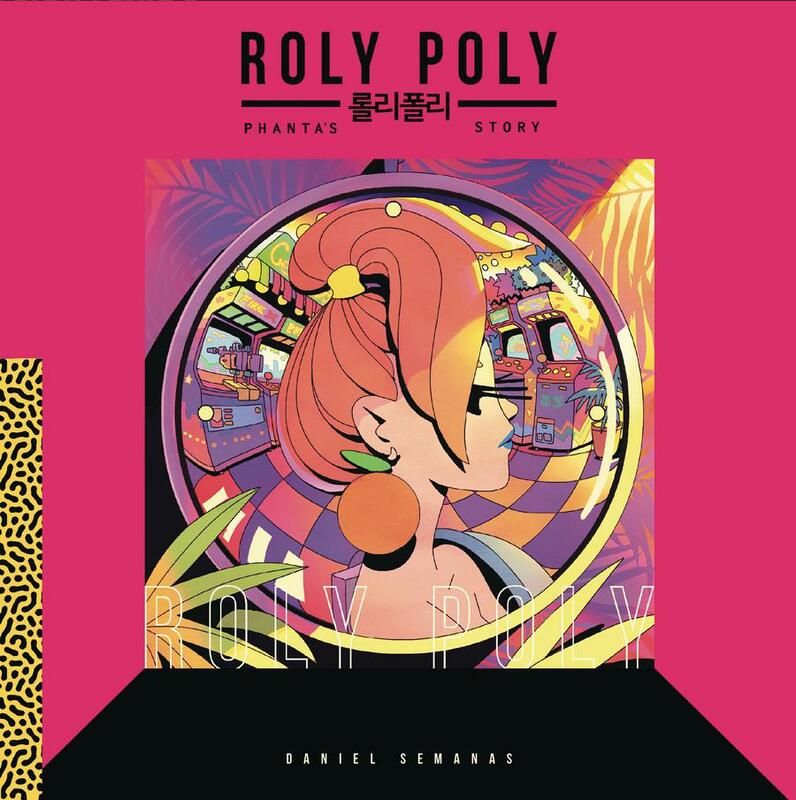 Roly Poly looks the kind of eye-bleedingly gorgeous you’re calling out for from your psychedelic sugar coma, a sort of contemporary culture clash successor to Yellow Submarine (of which there is also a graphic novel edition coming out next week btw). Creator Daniel Semanas is São Paulo-based but this story is set in a near future South Korea. The spiel on the sites is a mix of American Pop Art and K-pop influences, but I see more shades of Scott Pilgrim crossed with The Wicked + The Divine or even Hitsville UK via Sailor Moon. Expect lashings of weirdness amid music and games references as the heroine Phanta negotiates layers of virtual fame and violent crime in her quest to prove herself worthy of pop stardom. Staff Picks for April 11, 2018 – Clover Honey, Algeria is Beautiful Like America, Action Comics: 80 Years of Superman and More! Staff Picks for March 21, 2018 – Marie Duval, Cave Carson Has an Interstellar Eye, Punks Not Dead, Magpie and More!